CLEARER, LOUDER, HARDER, BETTER. Sound BlasterX H3 is specifically designed for portability and comfort. A portable analog gaming headset that's lightweight and comfortable, fold up and take this headset along wherever your gaming habits take you. The Sound BlasterX H3 is built to withstand the rigours of life. It is made from a durable shock resistant plastic architecture that is tough enough to survive bumps and knocks from travel. Fold the earcups to optimize the space in your backpack that's meant to be shared with your keyboard, mouse and mouse pad. 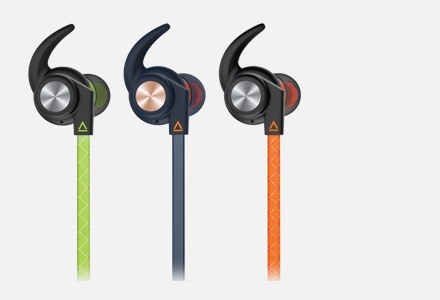 A portable and discreet headset that delivers comfort in a neat little package, the Sound BlasterX H3 features an over-the-ear, circumaural form factor. Its plush leatherette earcups deliver unmatched comfort for an immersive gameplay without any compromise to the soundstage. The Sound BlasterX H3's plush leatherette earcups keeps you comfortable and focused on your game all day without distraction. Whether you are a gamer who wears eyewear or not, now you can game for hours without a hint of fatigue. Powered by large, responsive 40mm FullSpectrum drivers, the Sound BlasterX H3 delivers powerful bass and astounding clarity. Rated at 118db/mW, it is among the loudest gaming headsets in its class. Feel the tremor of every explosion and hear the rattle of gunfire in your gameplay, like no other. 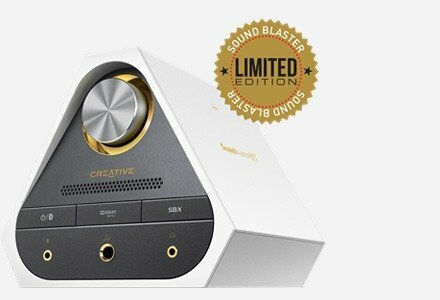 The Sound BlasterX H3 comes pre-tuned out of the box with a warm sound signature2. 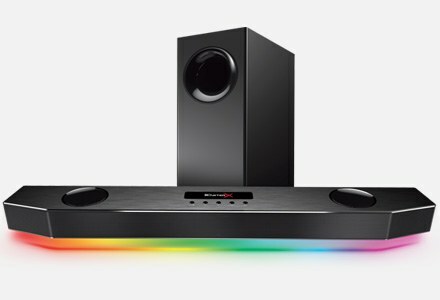 What this means is that with rich bass tuning, you'll feel the rumble of deep low bass to further enhance your gaming experience. The detachable noise-reduction microphone filters ambient sounds so you can be heard clearly, even in noisy environments. When you're not gaming, detach your microphone from the headset and you'll get a pair of compact headphones that's ready for music on the go. 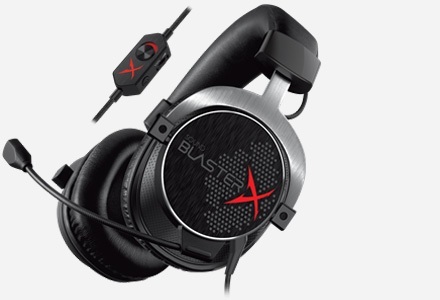 Although the headset sounds great on it's own, we have tapped onto our rich history of creating class-leading audio algorithms to power up the sound of the Sound BlasterX H3 beyond the realm of physical limitations through audio enhancements optimized for your gameplay. Available for Windows®, Sound BlasterX Acoustic Engine Lite1 offers preset audio profiles specially programme according to the audio settings of popular games today. When activated, these profiles bring out the essence of the game you are playing. From the whizz of bullets flying past your ear in your favorite FPS game to the terrifying roar of a troll from an adventure game, these sounds come alive with our professionally tweaked enhancements! Just imagine yourself surrounded by blind spots that make it visually impossible to get around. Who knows, you might even find yourself dead. So, what if one split second could alter your fate? Or perhaps, the distant shrill of a siren could hint at certain dangers looming ahead of you. As the cornerstone of your victory, we have a list of audio profiles, which is specially tuned to help you realize the potential of sound, your biggest ally. Incorporating other time periods and conflicts, gamers can experience war in an epic scale with our specialized audio tuning for the series, which spans from Call of Duty 2 to dark and gritty 21st Century Call of Duty Black Ops 3, eliminating masses of bots and human foes alike. Imagine yourself thrown into a conflicted environment (zombies included too). Put on your solid headset, and select the audio profile for Call of Duty series. Then, let our SBX surround technology and custom EQ effects surprise you with the essence and detail, especially when you expand bullets from the weapon of your choice. 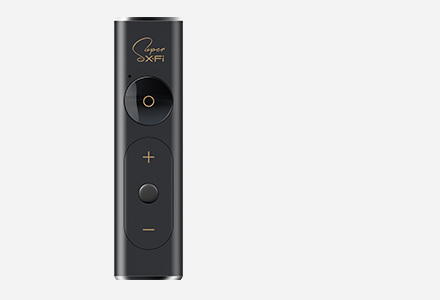 The in-line remote control offers convenient adjustments of volume and microphone controls, all within a finger's touch. You know what's handy? 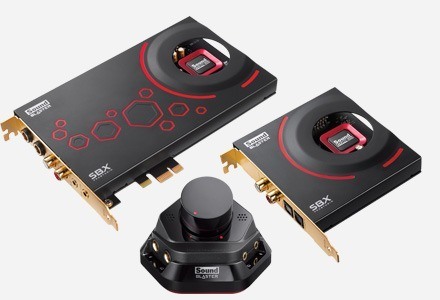 The Sound BlasterX H3 works with present gaming consoles3 such as the PlayStation 4 and connects via the analog 4-pole jack. 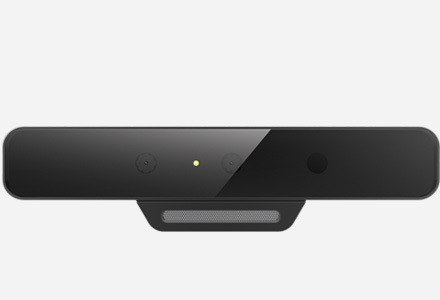 Plus, it requires only 1-cable connection without sacrificing microphone functionality so you'll be heard loud and clear. 1 Registration (requiring a valid e-mail address), software download, license acceptance, and internet connection are required to activate Sound BlasterX Lite software. 2 Further customizable with Sound BlasterX Acoustic Engine Lite Software. 3 For Xbox One console, optional stereo headset adapter is required. Amazing sound quality, highly recommend for a great price!